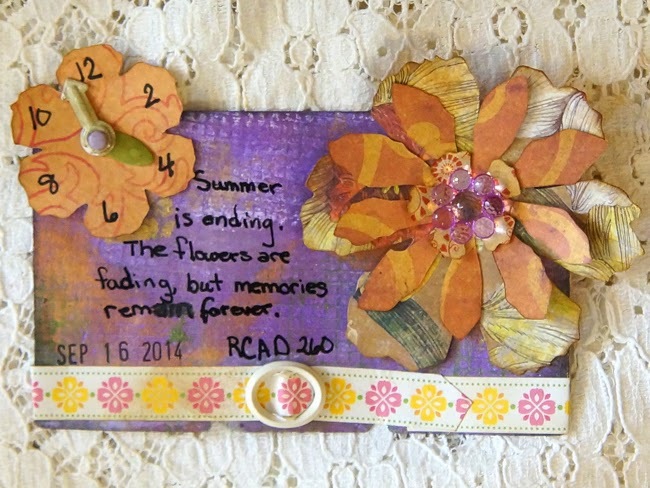 Rolodex Card A Day 260 was motivated by my garden. The flowers are starting to fade and really I am getting tired of watering them.This is my favorite time of year. I love when nature takes over and shows off it beautiful colors all by itself. Come March and April I will be ready to plant and water all over again. Beautiful! LOVING the clock flower!!! Gorgeous flowers and love the purple background.